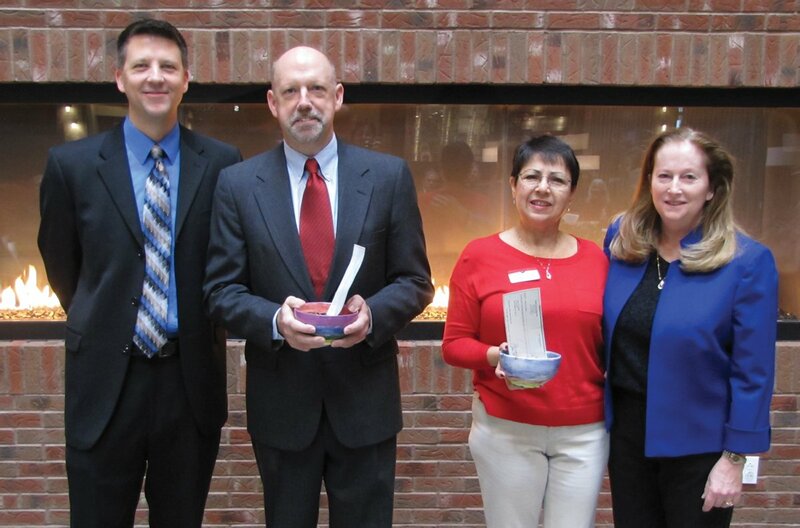 The inaugural West Chester/Liberty Empty Bowls event raised more than $5,000 for two area nonprofits, Reach Out Lakota and the Faith Alliance Summer Lunch program. Proceeds were presented to the two groups at a Feb. 17 ceremony at Liberty Center. The Nov. 21 fundraiser was organized by C3-the Caring Community Collaborative as part of its mission to address community needs.